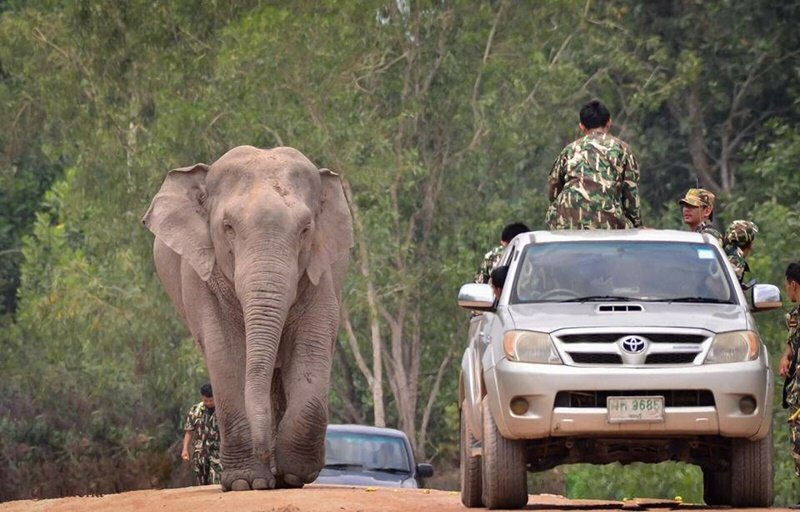 When our Elephant Conservation Project team recently drove through the country, seeking more information about human-elephant conflicts in Thailand, our farthest location was Khao Ang Rue Nai Wildlife Sanctuary. 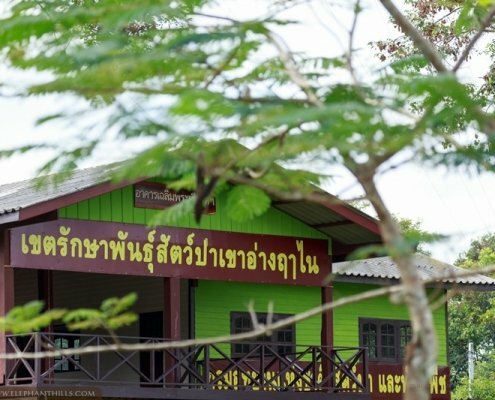 Located in Chachoengsao province in eastern Thailand, this sanctuary has most likely the worst situation with human-elephant conflict in the entire country. 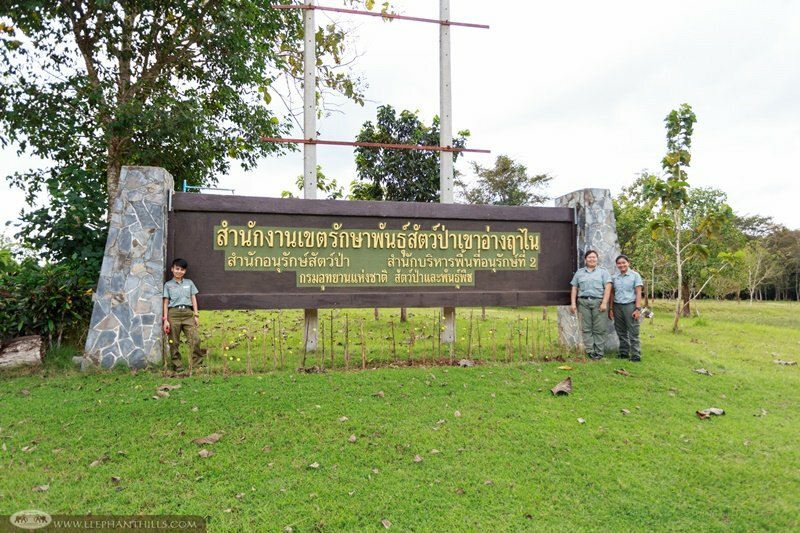 The pristine Ang Rue Nai forest covers an area of 1029 km² and the number of wild elephants recorded here is 277. 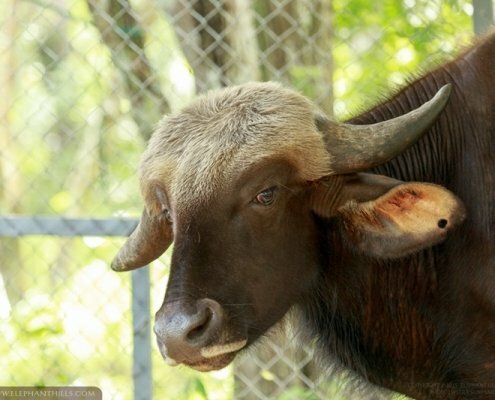 Speaking with the head of the sanctuary, we found out that the issues related to wild elephants began only about five years ago and the situation has been extremely difficult for the past three years. 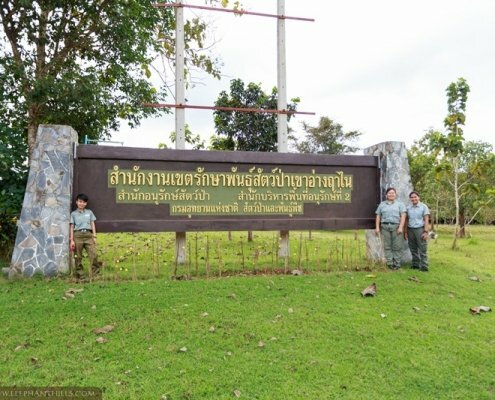 The sanctuary head and his team have visited other Wildlife Sanctuaries and National Parks affected by human-elephant conflict in order to learn about the different methods for solving the issues. 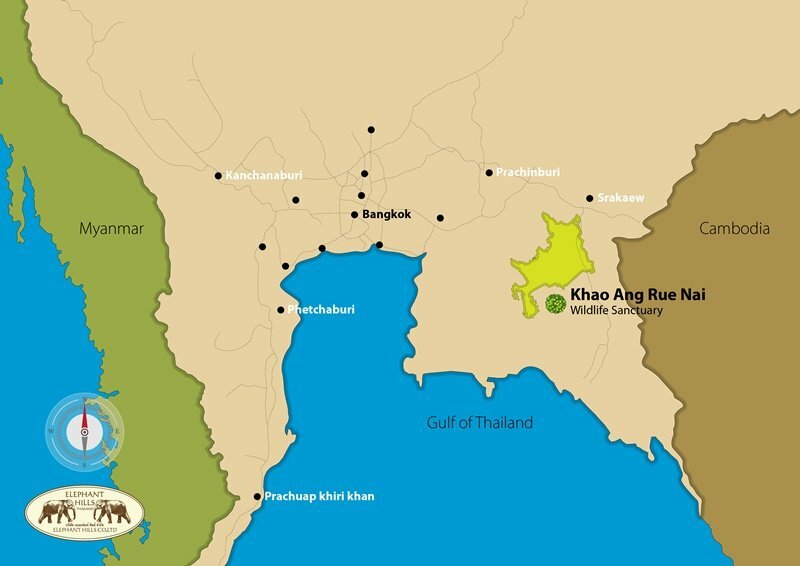 Chachoengsao province’s low river plain is extensively used for rice cultivation. Especially from October to December the smell of fresh, ripe rice attracts the elephants to the rice fields in large groups. 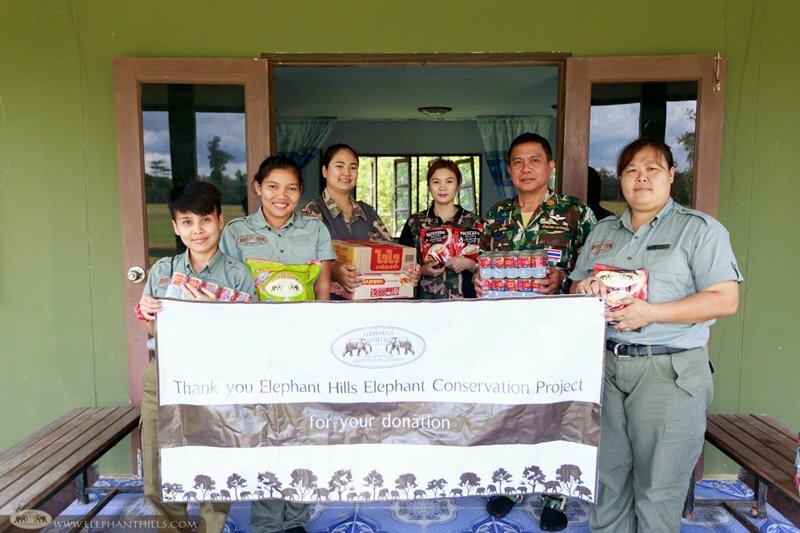 Indeed, each year during the rice harvesting, twelve teams consisting of local people, sanctuary rangers, officers from the forestry department, police and army are set up to protect the locations where the elephants most often emerge from the forests. 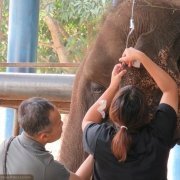 The wild elephant population in Ang Rue Nai forest is currently increasing a whopping 8.2% a year. 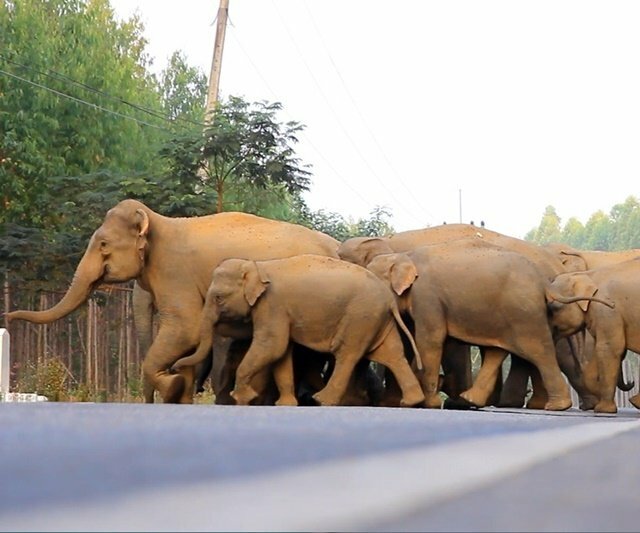 In one year, there are as many as 1000 cases where a wild elephant wanders out to human settlements in this area. 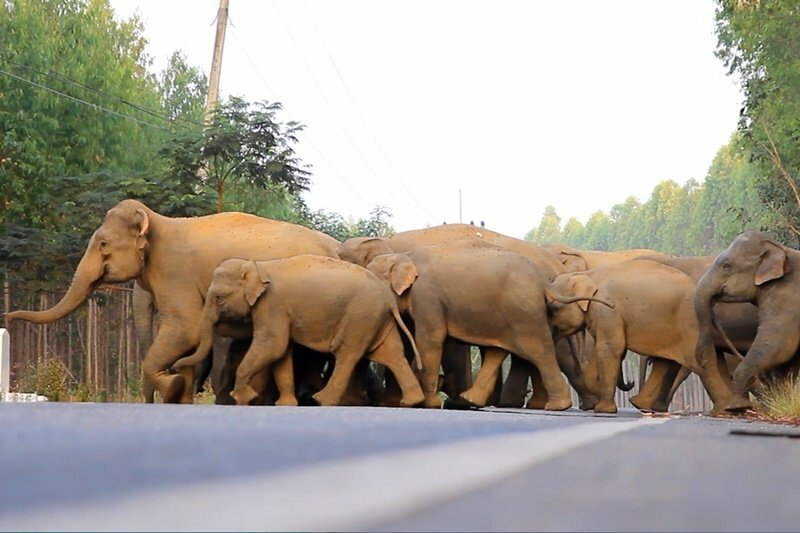 Unlike in many other areas in Thailand, here the elephants won’t come out only in singles or small groups, as sometimes there can be up to 100 elephants foraging at a plantation. 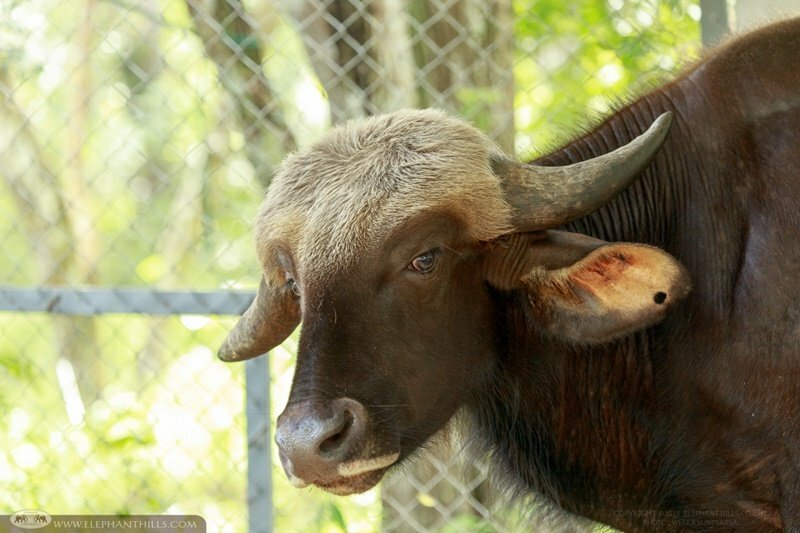 This truly explains the strenuous plight the sanctuary officers and locals have found themselves in. 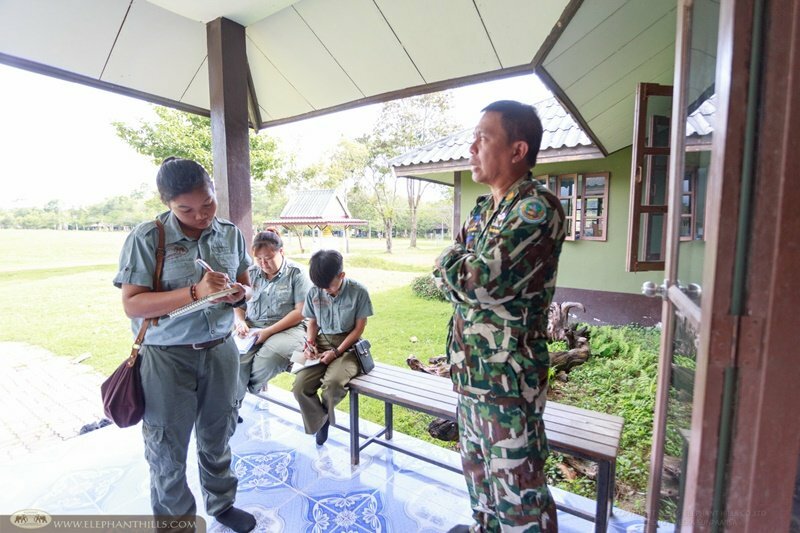 The head of the sanctuary explained that the first step of finding solutions to the conflicts is to figure out what drives the elephants out from the forest. 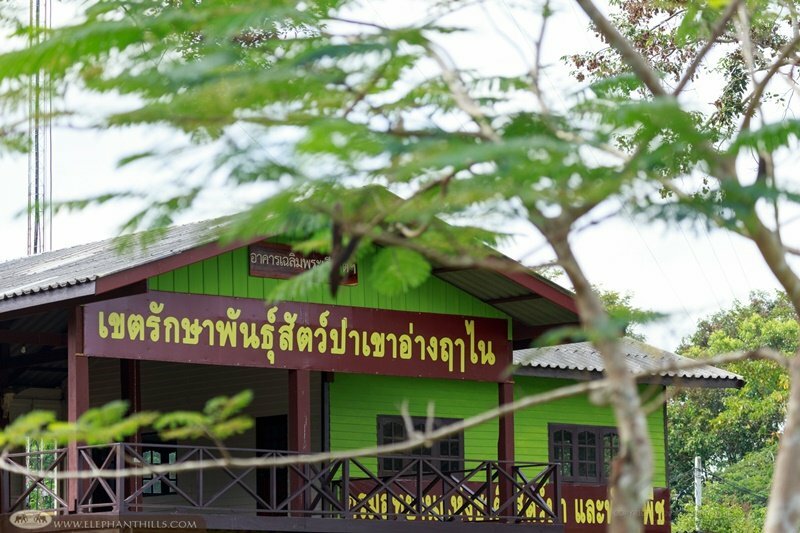 He pointed out that the basic needs for the elephants are having a safe area to rest and live in, sufficient amount of food, and a water source suitable for both drinking and bathing. In Ang Rue Nai the soil is rather sandy and can get quite dry outside of the rainy season, which can cause the elephants to seek water outside the sanctuary borders. 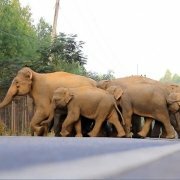 Furthermore, the constant increase in the elephant numbers eventually means less living space and food for each individual. So, what are the most potential solutions for the ever-increasing problems? 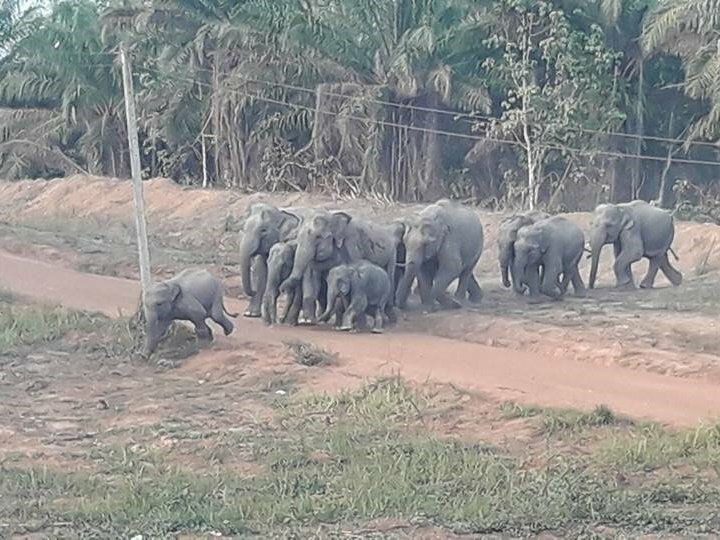 Since the elephants’ living space can’t be expanded, the Wildlife Sanctuary is working hard on boosting the food supply and water sources in the forest. 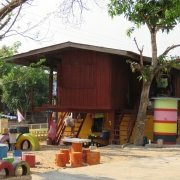 The sanctuary is currently seeking funds to dig and fill up large ponds deep in the jungle, to provide more drinking and bathing areas. Future plans also include planting grass and other plants and building salt licks to relieve the lack of food and minerals. They are also experimenting with barriers, consisting of concrete poles and soil wall made by a backhoe. 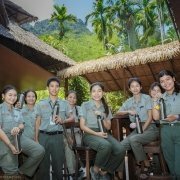 Would you like to support the conservation of the magnificent wild elephants in Thailand? 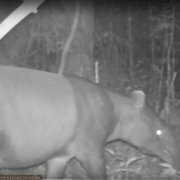 This and many other Widlife Sanctuaries and National Parks need our help with their continuous efforts in solving the human-elephant conflicts. 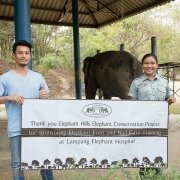 If your company would be interested in co-operating with Elephant Hills Elephant Conservation Project through corporate sponsorship, please contact us to discuss the options. 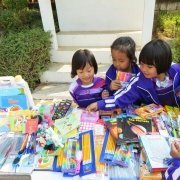 Yes, I want to help Thai Elephants!